As the Republican leader assumes the gavel as House speaker, he faces a restive Tea Party on his right and a wily president on his left. 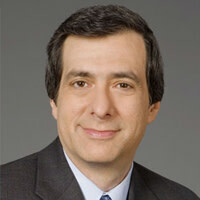 Howard Kurtz on his strengths—and the limits of his clout. --He didn’t announce that his party had a sweeping mandate to push through a right-wing agenda. --He didn’t respond to President Obama calling the GOP a gang of hostage-takers by ratcheting up his rhetoric. --He didn’t give dozens of interviews inflating himself into a figure of Newtonian proportions. --He unveiled a handful of moves signaling greater transparency, such as streaming committee hearings online and disclosing attendance at such sessions. --He told Lesley Stahl that “we’re on a pretty short leash. If we don't deliver what the American people are demanding, they'll throw us out of here in a heartbeat." --He cried a lot. When the Ohio congressman is sworn in as House speaker on Wednesday, he will be the first Republican in Washington since Obama’s election to actually run something other than his mouth. Boehner can be a fierce partisan, as he made clear when he and his colleagues voted in lockstep against just about anything the Democrats wanted. But then came the lame-duck session, where he compromised on the tax-cut package—basically getting more than Obama in the process—and cleared the way for the president to notch several more victories in the Senate. Boehner is a man the opposition can do business with, when he’s in the right mood. With little effort, since the media never bothered to tell us much about him when he was minority leader, Boehner has branded himself as an average working-class guy who likes to play golf (albeit mostly with lobbyists). He is, the profiles invariably tell us, one of 12 kids who spent part of his childhood working in his father’s bar. Obama may not get another major measure after the legislative frenzy of the last two years, but the Republican rollback is likely to fizzle, except at the margins. Boehner has always been more inside player than public performer, and he’ll need those skills when it comes to holding together his caucus. For one thing, he will have the responsibility of actually passing bills so that, let’s say, the government doesn’t shut down, rendering him Gingrich to Obama’s Clinton. Being in the minority gives you unbridled freedom to take potshots and act irresponsibly. Now that’s over. Boehner’s biggest dilemma is the influx of all those Tea Party types who got elected using radical language and may be in no mood to compromise. The new speaker will have to cajole them into cooperating, even when it looks like they are abetting the kind of Beltway business-as-usual they ran against. It’s one thing for Boehner to make a symbolic bow to these new lawmakers by decreeing that the Constitution will be read this week on the House floor. It’s another to persuade the true believers that they’ve got to raise the debt ceiling or pass a major appropriations bill to keep the pillars of government from crashing down. Toward that end, Boehner seems to realize that his power is limited. While he may have declared at a recent news conference—which made remarkably little news—that “we need to end the job-killing spending binges,” he’s enough of a capital fixture to understand that change comes incrementally. Boehner's troops have set Jan. 12 as the date for a please-the-base vote on repealing Obamacare, but he also recognizes that wholesale repeal will never get through the Senate. In other words, Boehner is about to have Nancy Pelosi’s problem in reverse. Her House passed all kinds of measures—cap and trade, the DREAM Act for children of illegal immigrants—that died in the Senate because Harry Reid couldn’t get to 60 votes. While the GOP will now control 47 Senate seats, up from 40 at the start of 2009, the margins are so narrow that both parties will be forced to compromise. Boehner may choose to ram through hard-right bills on party-line votes, giving him symbolic victories and Tea Party cred. But in the end, after a Senate rebuff or presidential veto, he will have to hammer out deals in those stupefyingly boring conference committees. The result: Obama may not get another major measure after the legislative frenzy of the last two years, but the Republican rollback is likely to fizzle, except at the margins. The cigarette-puffing Boehner, who helped George W. Bush pass the much-reviled TARP bailout, is no revolutionary. He has also waited a long time for this moment. Few remember that Boehner was kicked out of the GOP leadership in 1998 after the Republicans, in the midst of impeaching Bill Clinton, lost seats and Gingrich’s speakership imploded. Boehner quietly worked his way back into power, seizing his chance in 2006 after the scandal-scarred Tom DeLay resigned as majority leader. Unlike Pelosi, who shattered the glass ceiling and then was demonized as part of the San Francisco loony left, Boehner doesn’t incite strong emotions. In a Gallup poll after the election, 34 percent of those surveyed approved of him, 26 percent had a negative view—and 40 percent didn’t know enough about the man to have an opinion at all. This suggests his image has yet to be fully defined, and that he’s likely to manage things more in the low-key manner of Denny Hastert rather than as a Gingrich-style prime minister. His deputy, Eric Cantor—co-author of the book Young Guns, which only mentions Boehner three times—may wind up drawing more attention. And while Boehner is set to run the House for at least two years, his time in the media spotlight will be much shorter. By the summer, journalists will grow bored with the budgetary machinations in Congress and increasingly focus on the presidential contest. With no White House ambitions of his own, Boehner will be relegated to the sideshow while the 2012 players, possibly including Gingrich, will be featured in the main arena. They will be dwelling in the world of promises and Boehner in the grittier reality of governing. But the new speaker’s performance will have a major impact on whether his party is seen as a bunch of bomb-throwers or grown up enough to be trusted again with the keys to the executive mansion. If John Boehner can pull off the latter outcome, he’ll have something to get choked up about. But that means he will have to outmaneuver a president determined to avenge the shellacking that handed Boehner the gavel.